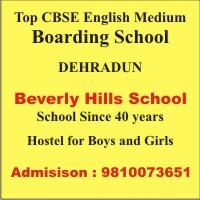 Kendriya Vidyalaya No.2, B.E.G. & C. Roorkee is run by KVS an autonomous body formed under Ministry of Human Resource Development, Govt. of India and is affiliated to Central Board of Secondary Education, New Delhi and have a common syllabus and curriculum of studies.Kendriya Vidyalaya No.2, Roorkee was established in the year 1999. At present The Vidyalaya has Classes from I to XII(Two sections in each class) with an enrolment of 991 Students (As on September 30, 2015) with Science & Commerce Streams at Plus Two level. The Vidyalaya provides opportunities to its students to participate in a variety of activities. The Vidyalaya participates in Games, Sports and other activities organized locally and also at Inter KV level by the KVS. The activities include Mathematics Olympiad, Regional & National Science Exhibition, Social Science Exhibition, Art Exhibition, National Level Essay and Painting Competitions, Regional & National Sports Meet, Youth Parliament, Adventure Activities, Educational Tours, Scouting etc.